Bournemouth's Charlie Daniels and Swansea's Alfie Mawson have become the first English players to join Juan Mata's Common Goal campaign. 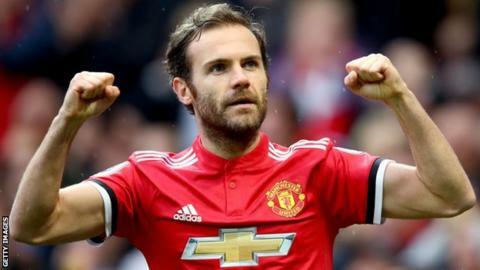 Manchester United midfielder Mata wants players to join him in donating at least 1% of their wages to support football-related charities. Germany's Mats Hummels and Italy's Giorgio Chiellini have both signed up. USA duo Alex Morgan and Megan Rapinoe became the first female players to commit last month. Left-back Daniels, 31, has made 210 appearances in six years at Bournemouth, joining them from Leyton Orient in 2011 when they were in League One. He said: "It just seems right that our national sport gives something back to society. If my pledge can help spread the idea of Common Goal, especially among the younger players, then it will be one of the proudest achievements of my career." Centre-back Mawson, 23, was part of the England squad that reached the semi-final of last summer's European Under-21 Championships. He said: "It was only a few years ago that I was playing non-league and helping out my dad at weekends with his market stall. "Common Goal allows me to focus on my career while forming part of something that can really help transform lives of those less fortunate."